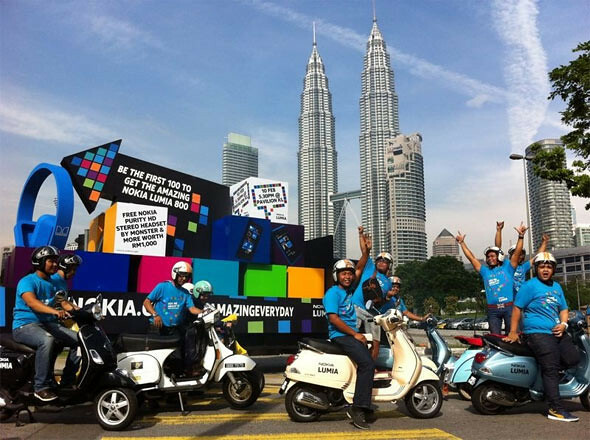 Watch the streets of KL from 3-9th of February for fun packed activities featuring a giant Nokia experience truck, Vespas, donuts and square umbrellas – all in anticipation of the Nokia Windows Phone launch in Malaysia! Forget the stress of KL traffic, even for a while, when colourful Vespas with balloons weave their way between cars to brighten up your mood. If you’re lucky, catch them again at lunch handing out free square donuts at popular malls or better, at your office! 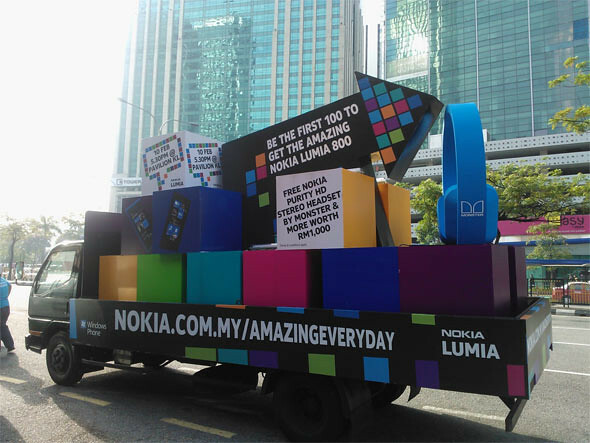 That’s not all – Nokia has challenged Malaysians to share a video or photo on Nokia Malaysia’s Facebook page where you can show us your ‘Amazing Everyday’ experiences. Lucky participants will stand a chance to win one of 15 new Nokia Lumia 800, touted as the ‘first real Windows Phone’. The contest will go live from 3rd February through to 10th March 2012. For more information on Nokia, please visit www.nokia.com.my or facebook.com/NokiaMalaysia. Are you ready for the launch this Friday? First 100 gets AWESOME STUFF! 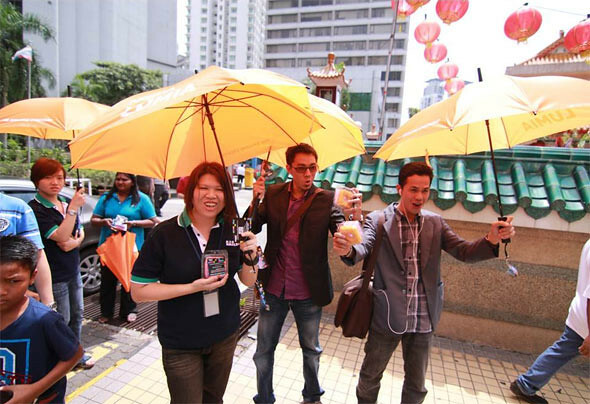 2 Responses to "Nokia Takes On Streets Of Kuala Lumpur To Offer An Amazing Day [video]"